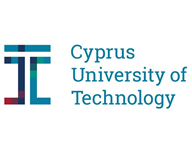 The Cyprus University of Technology (CUT) was established by law in December 2003, and enrolled its first students in September 2007. It is a new, public, and independent University and has set high values concerning its academic character, legal status, organizational and administrative structure; it is characterized by its high level procedure for staff selection, and its relationship with the state. ‘Eratosthenis’ Research Centre consists of several research labs. The ‘Remote Sensing and Geo-Environment Lab’ (member of the Eratosthenis Research Centre) is based at the Department of Civil Engineering and Geomatics, School of Engineering and Technology and is involved in various Research Activities and National and European Research Programmes. The Group has participated since 2007 in more than 40 funded projects from different funding sources such as European (e.g. LIFE+, MED, ERASMUS+, FP6, FP7, EUREKA, INTERREG etc.) National (Cyprus Research Promotion Foundation) and industry. Militos Consulting S.A. is a unique and innovative 360° consultancy firm that counts many successes and recognition in the European and local (Greek) market for 14 years. The company has a strong European profile and international experience in the provision of integrated and innovative consultancy services in a wide spectrum of fields, such as 360° Information and Awareness Measures, Entrepreneurship Training and Promotion, New Media, Employment, VET, Agriculture, Culture, Media, etc. to bodies and enterprises interested in benefiting from the growing economic and technological capabilities of the European and international environment. Militos has a wide experience in the design and implementation of entrepreneurial support initiatives, especially in the field of mentoring, as well as intra-company knowledge organization. Moreover, the company exhibits the necessary knowledge, experience and scientific background supporting substantial involvement in the development of research activities and studies in the fields of economy, society, and entrepreneurship, both at national and EU level. Having also excelled as an awareness and publicity consultant (inc. professional event organiser), Militos Consulting S.A. undertakes the design, coordination and successful implementation of various large-scale events such as, conferences, workshops, seminars, press conferences, info-days, exhibitions and visits (only in the last years we have implemented over 50 demanding and complicated events, involving over 50.000 participants, with enormous success). Militos Consulting S.A. stands out for its team formed by mutli-national, mutli-lingual, skilled, knowledgeable and imaginative people with strong experience to design and deliver integrated unique consulting services. The company consists of a group of specialists with a passion to deliver results through client relationships and partnerships. Militos Consulting S.A. applies a Quality Management System certified with ISO 9001:2008 for the design and management of European co-funded projects, the design and implementation of consulting services to organisations, the conceptual development and provision of integrated communication services and the conducting of social and business studies and research. Militos is also certified by TUV Austria Hellas for its professional system of managerial capability for the provision of services in the fields of advertising, public relations and branding (ELOT 1435:2009). Furthermore, Militos is a member of the Greek Advertising Self-regulation Council and abides by the Code of the Organization for the Protection of Rights of the Advertising Companies. In the past 12 months alone, Found.ation hosted or accelerated 60 different startup companies in three acceleration batches, leading them to secure more than $2 million in total funding by Greek and International Investors. During the same period, it hosted more than 150 Educ.ation offerings, events and hackathons. Found.ation aims to meet the specific needs of technology startups and offer facilities and services in the areas of technology, graphic design and entrepreneurship. The main objective of Found.ation is to create a productive and growing ecosystem of entrepreneurial and technological talent which will form the basis for developing new Greek technology startups. Within Found.ation's creative space, groups can work, meet and exchange ideas and experiences with other groups, meet with customers and investors and attend lectures, workshops, classes and presentations. Our goal is to enhance and accelerate entrepreneurship in Greece. An integral part of Found.ation is “Educ.ation”: an educational platform aiming to help young people develop their knowledge and skills in the field of entrepreneurship. Educ.ation is based on the pillars of ''Technical'' and ''Social'' Entrepreneurship. For each of these two pillars, the program is supported by events, workshops and courses on the topics of web and mobile development design and business marketing, skills that are critical towards developing potential entrepreneurs. Found.ation has participated actively in a Startup Program created by Cosmote (www.cosmotestartup.gr) in cooperation with the Hellenic Management Association and OTE Academy. A modern business incubator program for the new generation of Greek entrepreneurs, which enabled 10 startups to turn their ideas into business and start their own companies. Found.ation also participates as a Founding Member to the Greek “Women and girls go digital” initiative, which was launched in April 2014 and is implemented under the leadership of the Hellenic General Secretariat for Gender Equality and in collaboration with the European Centre for Women and Technology. The initiative involves a detailed National Action Plan, based on the innovative tool of the European Commission “Grand Coalition for Digital Jobs”. The founders’ goal with the project is to satisfy the needs of young technology companies, acting as an incubator of their business operations. Productive cooperation is promoted through offering participants daily opportunities to network with professionals from various fields to exchange help, opinions and ideas and develop new partnerships. Médias Technolgies Conseil / MTC sprl (MTC) is a Brussels-based company focused on editorial consultancy, European Affairs and Quality Management. Academic lectures: sources of information on Europe & methodology of EU projects. - externally representing the larger user communities towards the main IT suppliers as well as European authorities, like the European Commission, European Parliament, etc. EuroCIO is a very active participant in many programmes of the European Commission like cloud computing, e-skills, security and many others. The voice of the larger users is more and more heard in the European IT policies (Digital Agenda) and will impact coming years definitely the new European IT decision making process in IT, like innovation, e-skills programs, education in IT, regulations & directives for cloud and security, etc. RNDO is a modern think tank of innovation, action and practice. It is a company that implements innovation! R&DO makes the difference when it comes to the design and development of integrated IT solutions, web-based applications and enterprise software applications. Our goal is the continuous development and commercialization of innovative ideas in the form of products and services that are mainly based on ICT. The experienced team of R&Do is well known for the conceptualisation, design and implementation of innovative ideas, applications and projects, which - amongst others - promote development and innovation, support the green economy, contribute to employability and respond to current social needs. Our strong point lies in the design and implementation of communication strategies and activities of dissemination and publicity in both traditional and digital media, as well as at the initiation of and participation in co-funded European projects focusing on research and innovation. Our key activities range from the fields of IT services, to those of Digital awareness and Research & Consulting. MELIUS (International Mobility and Employment) s.r.l. MELIUS (International Mobility and Employment) s.r.l. is a research and consultancy company established in Bologna in 2006, working in the field of vocational and career guidance, lifelong learning. ICT for learning and employment. Since its establishment in 2006 MELIUS has been partner of several projects at local national, and international level dealing with education and training, transition to work, vocational guidance, mobility, employment, self-employment and business creation under the following programmes and lines of funding: ESF, CIP EQUAL, Leonardo da Vinci, Socrates, Framework Programme, CIP-ICT-PSP programme, Lifelong Learning Programme, Interreg, Grundtvig and Erasmus Plus. Melius is specialised in professional guidance, coaching and mentoring, and is actually providing Guidance for entrepreneurship and companies’ start-ups through entrepreneurship labs and individual pathways. SingularLogic (initially Singular) Romania has been created in 1999 as a subsidiary of the Greek system integrator and business software development company SingularLogic S.A. in Romania. SingularLogic Romania is an important member of SingularLogic Group, supporting the expanding activities of the IT group in the Balkan area and generally in South Eastern Europe. 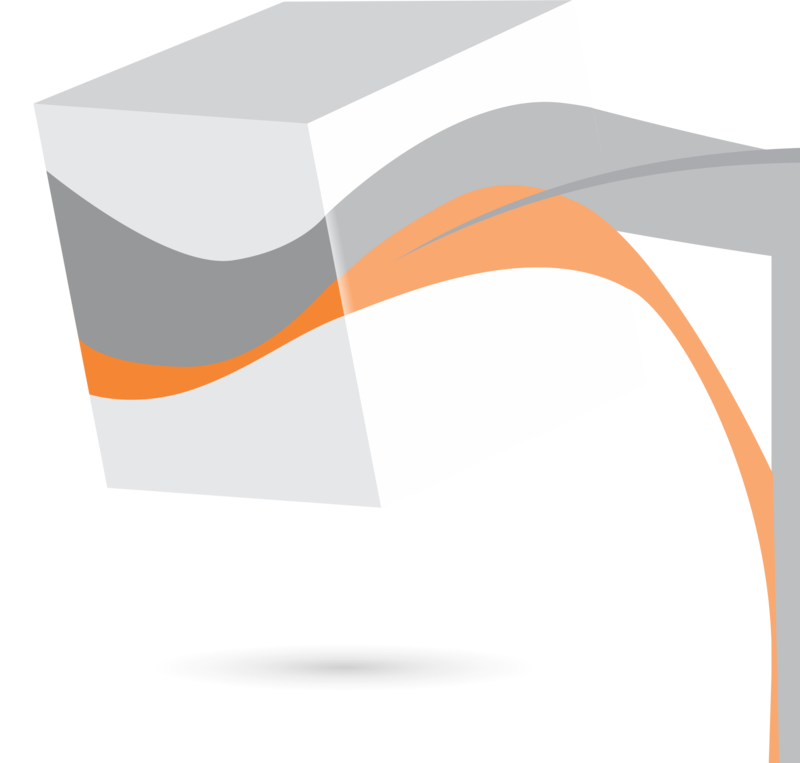 Integration and support of voice-enabled products that use speech recognition and speech understanding technologies and are provided by the mother company. Management Systems, Hotel Management Systems, Retail Systems and petrol station systems. The division has more than 40,000 clients/companies (mainly SME’s). System Integrator Division: design and implementation of Integrated IT Solutions for the public sector organizations especially in the areas of Defense, e-government, Transport, Health Care and Local Government. In a world of rapid technological changes, Research and Development (R&D) is one of the most important issues that a state-of-the-art Information Technology solutions provider must focus on. Based on SingularLogic Group R&D policy, every company and group member participates actively into the research and development of cutting-edge tools and methodologies to improve the solutions and services of the Group. High-complexity Transactional Software Systems in the areas of Industry, Business, Finance, Insurance, Health and Public Administration. Innovative communication and interconnecting technologies, supporting interoperability between Business Applications in commerce and public sector and providing solutions and tools for distributed collaboration, content management, and integration of services over heterogeneous Information Systems (system interoperability, web services, Service oriented architectures. Software methodologies and tools in the areas of object-oriented software, enterprise modelling, requirements specification. Man-machine interface: web- and voice-enabled applications. In collaboration with the European Project Department of the Group they are able to share R&D know-how in several IST R&D projects within the European Union that SingularLogic is participating. Rambla Asesores (RBS) is a consultancy organization based in Palma de Mallorca (ES) who offers a wide range of services to companies regarding innovative materials and services (R+D+i) to promote entrepreneurship and support to start ups. We are based in PARC BIT (ParcBit, Parc balear d'innovació tecnològica, http://www.parcbit.es/) a specific park to promote innovation in ICT for companies and SMEs. Our consolidation and experience has allowed us to create our own R & D department for the development and implementation of our own technological projects. Our interdisciplinary team of experts has participated and managed R & D project and keep an intensive networking experience with various private entities, government, technology centers and public research organizations at national, European and international level.